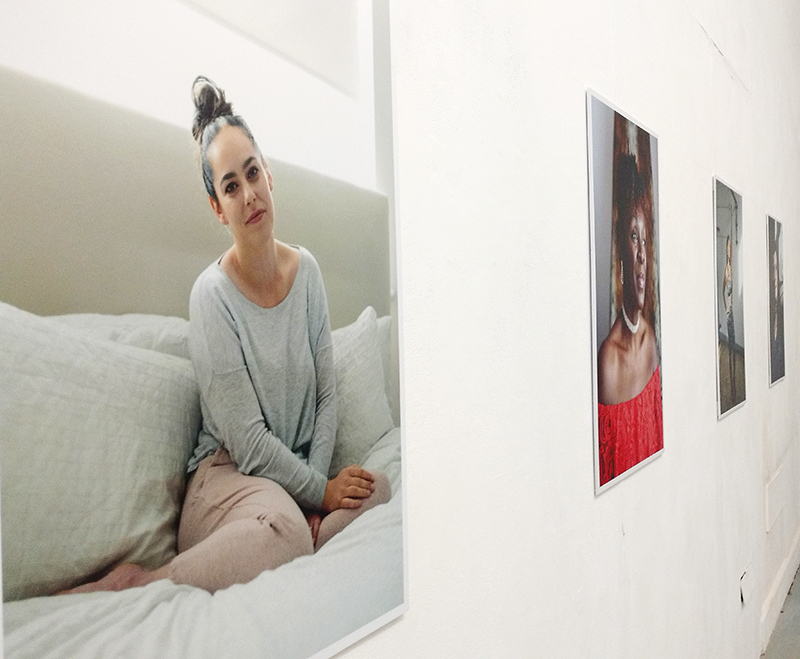 We recently held a ground-breaking photography exhibition called ‘The Luminous’ at Surface Gallery, exploring different notions of beauty through the eyes of women from Sneinton. The exhibition, created by our community-led creative programme ‘Place’ in partnership with the Muslim Community Organisation (MCO) featured stunning portraits of Sneinton women, taken by the internationally-renowned, award-winning photographer, Laura Dicken. We caught up with one of the women featured in the exhibition, Amy Finch, to find out what it was like taking part in the project. “The Luminous project took place in Sneinton, my neighbourhood. What I loved most about participating was that it never felt exploitative or patronising or voyeuristic, or like someone was looking in on us from the outside. It didn’t feel like a commentary or a judgement – it didn’t try to say anything about our lifestyles or our struggles or our culture or our surroundings or our diversity – it was just about us. I loved that the starting point of this project was an assumption that we are all beautiful, and that beautiful is how we feel, not what we see. I loved that it didn’t have to be pointed out, that it wasn’t a discussion or a lecture – it was just this permeating vibe throughout the whole process. The women who ran each part of the project – from the organisers, to the beauty therapist, to the photographer – where all on a level. They were transparent and genuine and made me feel welcome, valued, comfortable and safe. From the beginning through to the end it felt collaborative, organic, mutual and reciprocal.